Seeing famous faces is not unusual at Regal Cake Gallery where an entire wall is adorned with autographed photographs of celebrity patrons. USC has reached a broad agreement with Los Angeles County that will allow its stalled plan for a biomedical research park next to County-USC Medical Center to move forward. Henry Mayo Newhall Memorial Hospital has its own solution to the state's nursing shortage: if you can't find any, train them yourself. An investor group has a $300 million deal to acquire the debt on Shuwa Investment Corp.'s portfolio of downtown Los Angeles office properties including Arco Plaza and is positioning itself to take title to the assets, several real estate sources said. An accounting tactic that's allowed some companies to pad their earnings with pension-plan income is beginning to backfire. With stock markets in reverse the past two years, pension income at Fortune 500 companies has fallen dramatically. Placing a news rack on a Los Angeles sidewalk is easy. No permit is required and while there are some rules, they mostly go unenforced. There are days when Donato Caputo doesn't get a single customer at his Sherman Oaks barber shop located within two blocks of six hair salons along Ventura Boulevard. For a man who needs to win the trust of tens of millions of computer users around the world or face bankruptcy, Kevin Bermeister did not exactly get off on the right foot. The University of California at Los Angeles is taking several aggressive steps to cope with its housing shortage, spurred by an expected 12 percent increase in students by 2010 and a desire to lessen the ratio of commuters. When David Rozzell was looking to expand his biotech startup after outgrowing a cramped 2,500-square-foot wet lab near Huntington Memorial Hospital he figured he might have to move out of pricey Pasadena. Favorite Websites of Gary Chang, film composer, Gary Chang Music Co. Inc.
Nearly a decade after "If it does not fit, you must acquit," a new celebrity trial awaits and with it, the possibility of new courtroom histrionics. It's all but assured that voters will determine this November whether the San Fernando Valley should secede from the city of Los Angeles, creating an historic showdown that likely will reshape the city's future. Sonnenschein Nath & Rosenthal came to town a decade ago and has been growing rapidly since. Good for Sonnenschein, bad for LeBoeuf Lamb Greene & MacRae LLP. Robert Bucksbaum takes a pad and pen and writes the number: $3.2 million. It's too much money to utter aloud. All the same, he never hesitated when he got the chance to buy the Crest Theatre in Westwood. PEOPLE INTERVIEW: Sports Net President Tracy Dolgin revamps programming to give cable network a sharper identity in ever-costlier industry. Chang Kyu Park was nearly 30 before he saw his first check. It was 1971, the year he immigrated to the United States from Korea. When state legislators moved to deregulate the workers' compensation insurance market almost a decade ago, they envisioned increased competition that would drive down employer premiums. And for five years, that's what happened. The Air Force has agreed to purchase 60 additional C-17 cargo planes from Boeing Co., keeping the defense contractor's Long Beach plant at its full 7,500-employee staffing for another six years. KNX-AM (1070) switches news directors this week, but no programming changes are planned at L.A.'s top news radio station. Unhappy shareholders of Farmer Brothers Co. have taken a first step in an effort to pressure management of the secretive, family-run company to take some shareholder-friendly actions. For the City of Santa Monica's Landmarks Commission, it's about history, not control. For a local homeowner's group, it's about freedom, not money. The Pentagon plans to trim fiscal year 2004 requests for the F-35 Joint Strike Fighter, F-22 Raptor and F/A-18 Super Hornet projects that would have generated up to 17,000 jobs locally. Health care inflation is rising more rapidly than was projected even a few months ago, and the pace isn't expected to subside anytime in the near future. In representing Credit Suisse First Boston in the $300 million buyout of a majority interest in the 73-story Library Tower, Allen Matkins Leck Gamble & Mallory LLP reinforced its place as one of the city's premier real estate firms. Just months after Gov. Gray Davis released proposed regulations on nursing staff levels, unions and the hospital industry are ready to go head-to-head over the issue again. David Wiggs, L.A. Department of Water & Power's general manager, presides over a once lauded agency now dogged by overbilling charges. Former Los Angeles Mayor Richard Riordan who just came off a grueling campaign and ultimate defeat in the Republican primary, has confirmed that he will start a newspaper in Los Angeles by this summer. When apparel industry veteran Don Kerkes was looking to invest in Irvine clothing upstart Ambiguous Industries, he turned to his teenage daughter. In the wake of losing a $900 million contract earlier this year to help build next-generation communications satellites for the Air Force, Boeing Co. is restructuring its El Segundo manufacturing operation. Overture Services Inc. claims to be the victim of allegedly tainted investment advice given out by Wall Street brokerage house Merrill Lynch last year, and it's easy to see why. 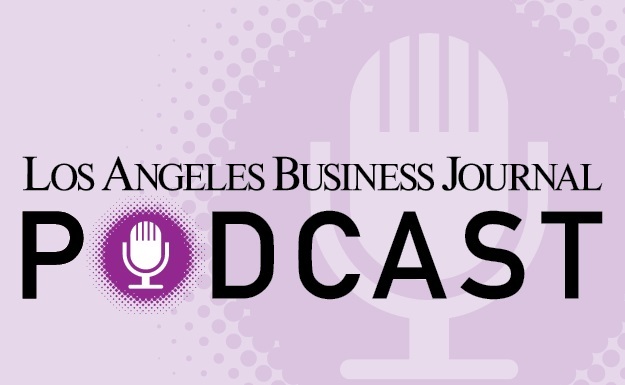 L.A. radio is on a comeback trail, as two years of financial woes from the dot-com implosion, the recession and the after-effects of Sept. 11 appear to be running their course. A case born out of a Hollywood divorce and now pending before the California Supreme Court could determine whether accountants and lawyers have the right to sue one another after a deal goes awry. The $2.4 billion, 20-mile Alameda Corridor project connecting the ports of Los Angeles and Long Beach with the rail yards near downtown is supposed to make life easier for commuters and shippers alike. The California Medical Association has reached the end of the line in its lawsuit against Blue Cross of California, Health Net Inc. and several other managed care plans over unpaid medical bills. Mergers-and-acquisitions activity in Los Angeles County remained at depressed levels during the first quarter, tracking a worsening national trend, according to statistics compiled by Mergerstat LP. Tenet Healthcare boosts revenues, influence by adding patient services. Nearly 100 years old, Williams' Book Store has outlasted large national competitors to become a San Pedro staple and the oldest bookstore in L.A. Whether or not debt-ridden Adelphia Communications Corp. puts its prized L.A. properties on the block, the company's financial problems could have a bearing on its renewal of long-term franchise contracts in Los Angeles and Beverly Hills. Local employees of beleaguered accountant Arthur Andersen are starting to leave the firm. Weekly review of Top Stories; plus preview of upcoming week. When a bunch of Chinese-American techies meet straight-out-of-Compton rappers, something interesting is bound to happen. In the case of Ruthless Records and Univessence Digital Studios Inc., it's a video game based on the musings of the late rapper Eric "
Norman Tyre, who died in January at the age of 91, had been coming to work every day until a couple of months before his death, climbing the five flights of stairs to the firm's Rodeo Drive offices in Beverly Hills. LABJ Forum: Searching for a New Chief? Entrepreneur Alfred E. Mann has decided to wait until early next year to take his biotech conglomerate MannKind Corp. public, despite plans for an initial public offering this summer. Fremont General Corp., once the state's second-largest underwriter of workers' compensation insurance, has decided to exit that market and remake itself solely as a financial services firm. Summary of past week's top stories, plus a look at the upcoming week. id the smell of stale cigarettes, guitars mounted on the wall and computer monitors stacked among a latticework of keyboards and mixing boards, Mario Orsini's dreams appear more suited to a life in the recording industry. Disgruntled shareholders, including some members of the family that runs venerable Farmer Brothers Co., are looking to put pressure on management in hopes of boosting the company's stock price. Halting a controversial residential development in the heart of a South Bay industrial zone, a Los Angeles Superior Court judge ruled that the city should not have authorized rezoning of the land. It's those crazy fads that usually earn the "only in L.A." tag, not biotech startups on the lookout for venture capital. But StemSource Inc. is one local company that might be the exception. Office building landlords have two words for their tenants: Brace yourselves. Corporate Focus by Anthony Palazzo: Davita Inc.'s return to financial health, underscored by its current Dutch tender offer to buy back as much as $600 million of its stock, proves that with a change of management, anything's possible. The munitions industry has faded in Los Angeles since its heyday during World War II, but Sensor Systems Inc., is poised to grab a piece of the action as the military develops the next generation of "smart bombs." KCRW-FM (89.9) is urging its listeners to join the fight against proposed rules and royalties for online radio. After months of negotiations, the independent directors of National Golf Properties Inc. have succeeded in bringing company Chairman David Price into the fold with a restructuring plan that absorbs his distressed, closely held companies. For the Brentwood neighbors of the retail stretch along San Vicente Boulevard, a little success has proven too much of a good thing. Was MaguirePartners' coup done without cash? That's the question being asked after the developer arranged the buyout of its partner in the 73-story Library Tower, Tokyo-based Dai-ichi Mutual Life. Electing the owner of downtown L.A.'s largest hotel as president of an advisory commission on convention center operations is raising howls of protest from some corners of the hotel and tourism industry. Commentary By GARY STEWART, President of the Board at the Liberty Hill Foundation and a former board member at the Social Venture Network. With incidents of terrorism against corporations on the rise, the courts could become a testing ground on how businesses should be compensated for their losses. Angelenos Look Back at Days and Nights of "Anarchy"
Theme park operators looking to rebound from the flattest year in a decade are devising various discounts and bonuses to nudge more Southern Californians through their turnstiles. Back in the private sector, ex-mayoral hopeful Antonio Villaraigosa turns to family, lecture circuit. Business owners don't often take up picket signs and chant protest slogans. But one L.A. area group that took this approach a decade ago to combat skyrocketing workers' compensation costs is at it again. About this week's List - Minority-owned businesses, L.A. County based; ranked by 2001 companywide revenues. Review of past week's news; Preview of upcoming events. Sign On or Register now to view - it's FREE! Thirteen years after Hearst Corp. folded the Los Angeles Herald-Examiner, the newspaper's historic downtown building will be converted into creative office space to capitalize on the development resurgence in and around nearby Staples Center. Fountain View Inc., the Burbank-based nursing home operator, has hired new management as it restructures under Chapter 11 bankruptcy protection. Daniela Soberman's Streamline Press publisher of books on retro style is finding buyers at corner stores, overseas. Joan Payden has adopted a global perspective when it comes to dealing with $40 billion in clients' assets. Saul Levine does things few other radio station owners would dare do. His stations play music that appeals to older listeners and draws weak ratings. He pushes aside generous offers to sell. There's a growing prospect that secession measures for the San Fernando Valley, the Harbor area and Hollywood will be placed on the Nov. 5 ballot and a recent poll shows surprisingly strong support. Online movie ticketing start-up Fandango is mounting a credible challenge to two leading competitors AOL Time Warner Inc.'s Moviefone and Movietickets.com by locking major exhibitors into alliances that include exclusive ticketing deals. Firm Looks Inward as it Broadens Base. The Green Monster just got tamed. The pine-colored Santa Monica Gateway office building, located alongside the 405 Freeway in West Los Angeles, has seen nothing but trouble since it was built in 1986. Power may be plentiful and prices stable for now, but that could change as early as this fall when federal price controls end. And a recent report by federal regulators warns that California could suffer from tight energy markets over the next few years.. The insurance industry is up in arms over a bill that would prohibit the growing practice of using credit information to set premiums and to determine whether to offer insurance to drivers and homeowners. Attorneys at Lyon & Lyon LLP will have much to reflect on during the firm's annual partnership retreat this month. Like their future. Bernice Baird-Browning started her toy business, Small Wonders, in a Palos Verdes mini-mall 26 years ago. Descendants of original Spanish land grant sell last portion of property.